I remember reading this bulletin almost ten years ago. At the time I had a strong feeling that I wanted to start a farm. I had a strong inclination towards growing herbs and produce, but I also loved sheep. I had helped raise sheep at a bed and breakfast in Vermont, assisted with lambing at a former teacher’s farm, and discovered that my last name was French for “leg of lamb.” Maybe there was something there? Around 2011, when we moved onto this farm, we took on a few sheep to “keep the pasture down” and it was a funny experience. Those first sheep (including Bertha, Patsy & Sally) taught me a lot. They were gentle animals and fairly easy to care for, yet also there was a steep sheep learning curve. At the time I had no idea what I was getting into! I wrote this article about what I was learning for Grow Northwest. 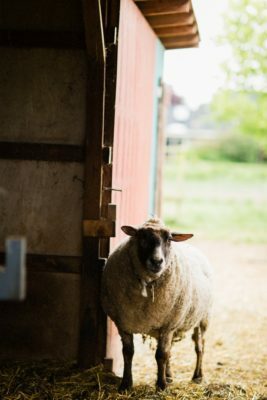 So…..I visited other sheep farms and creameries in Washington, New York, Wisconsin and California to see how they did it. 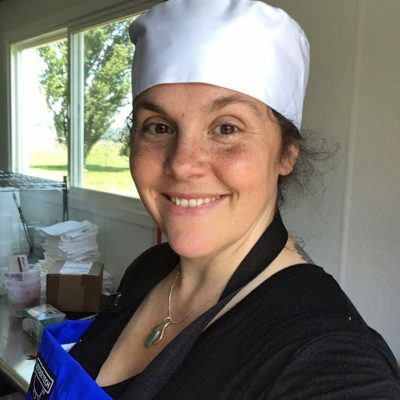 I took some cheese classes (which I will talk more about later). 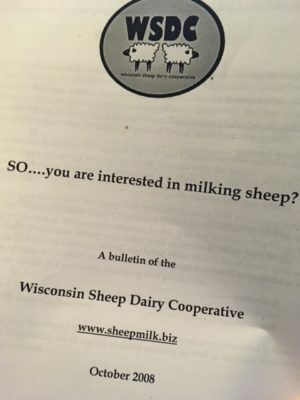 I became part of the Dairy Sheep Association of North America. I did a lot of reading. We applied for and got a grant to develop this idea of making sheep cheese commercially. 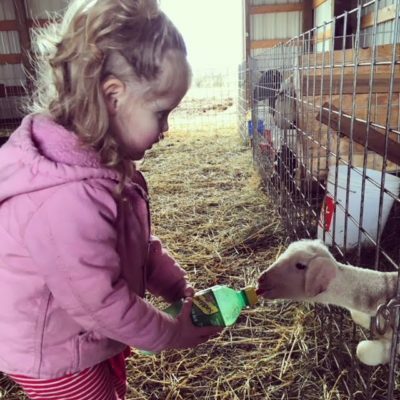 Over the years, with a handful of sheep, I was able to learn a lot about what these creatures like and don’t like, parasites, lambing techniques and management tools, and how to milk. There is no set plan for animal husbandry, it is an ever-evolving art and science. And here we are, fast forward to 2018, with a grade A sheep dairy and creamery (and two babies that will hopefully like sheep & cheese as much as I do)! We completed our pilot season and are now reviewing and planning for next season. I am proud of this new addition to the farm (we are still growing herbs too!) and I look forward to getting more of our cheese out into the world.